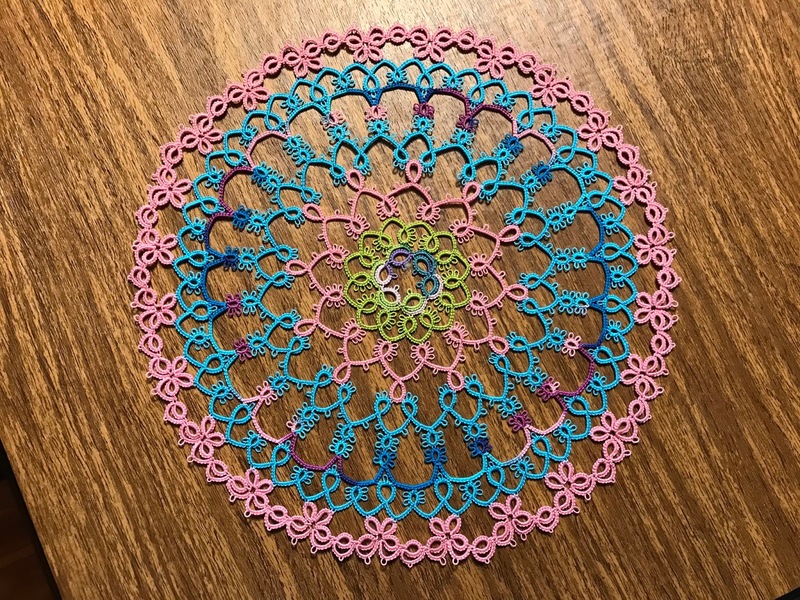 Joanne and the kids took a long nap yesterday, so I had plenty of time to devote to tatting. When the kids are awake, someone always wants snuggles! I finished round 7 of Renulek's Wiosna 2018. 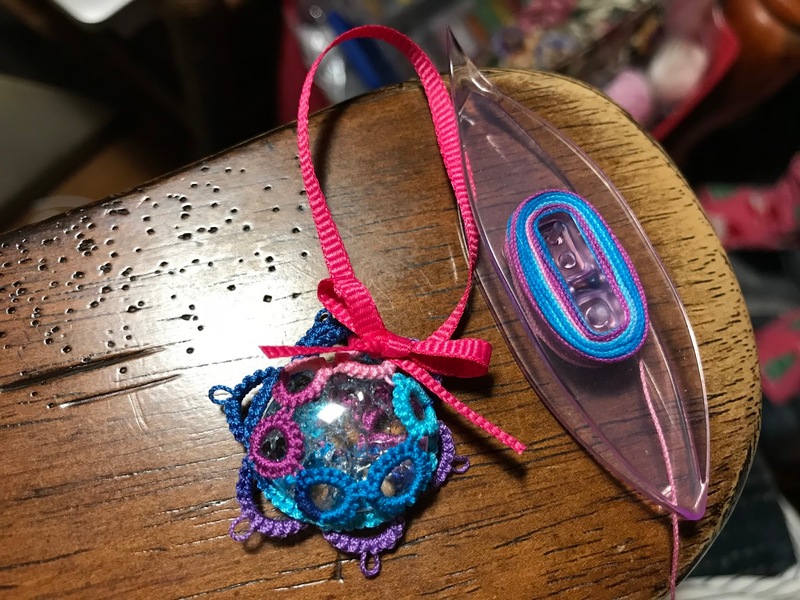 I really enjoyed tatting all those cute little butterflies! Sophia kept asking for an Ice Drop in Lizbeth #130, Island Breeze. Pink was her favorite color of the day, so she chose a bright pink ribbon. 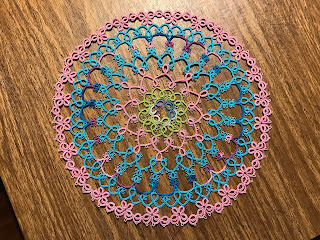 The doily is looking great and quite an adventure moving away from all blue thread too! I’ve yet to do an ice drop as I’m still recovering from the TIAS. I'm trying to expand my horizons! My poor attempt at the TIAS is still in the experimental stages. I really do need to master those pesky split rings! Sophia is loving looking at threads, shuttles, glass gems, and beads. I can't keep up with her requests! 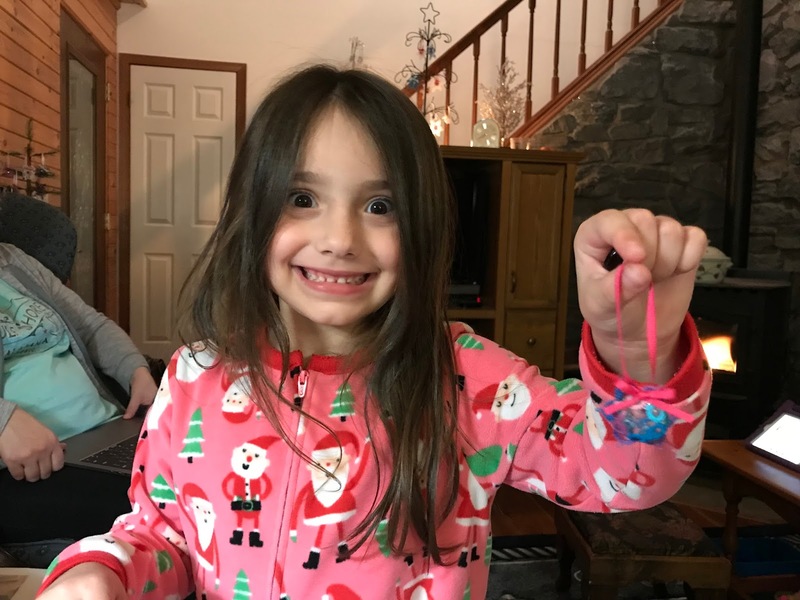 Sophia is keeping you up to the mark! I’m looking forward to those butterflies now I’ve seen yours. Granddaughter has great taste !